Understanding Workers' Compensation laws is a big problem for many employers, whether small or large. Business owners and managers want a trusted guide to answer their basic questions and concerns about handling workplace injuries and illnesses appropriately. Determining when an injury or illness is covered by Workers' Comp, ADA, or FMLA laws can be tricky and confusing. One innocent misunderstanding may result in large government fines and employee settlements. Andere Keys ... Understanding Workers' Compensation: An Employer's Guide to Success provides employers, managers and supervisors with solid answers to frequently asked questions and clears the fog surrounding Workers' Compensation program administration. Employers want to keep their employees safe and well. Reducing the number of workplace injuries is a top goal, as well as, for the Federal and State Departments of Labor. 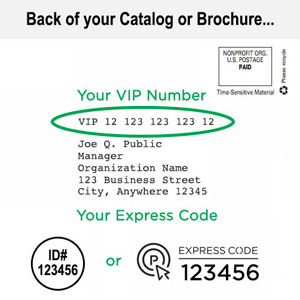 Auditors personally visit many employers annually to review records and determine when increases in coverage are appropriate. As Workers' compensation insurance costs rise, employers must understand how to administer their workplace program in a balanced manner. After the Injury: What's and Employee to Do? Workers' Comp fraud perpetrated by employees is always a risk, especially in larger businesses. Workers who perform the riskier duties may see a hole in the program at work and take the opportunity to capitalize on the situation. Owners and managers will be powerless to defend themselves, especially since the courts hold that “ignorance of the law is no excuse”. 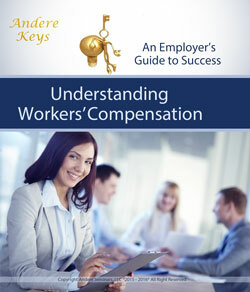 Andere Keys...Understanding Workers' Compensation: An Employer's Guide to Success also provides you with these helpful tools and information.